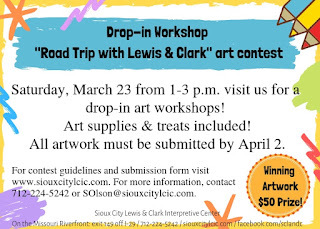 To enter, kids should create a "selfie" of themselves going on a road trip with Lewis & Clark anywhere in the country. 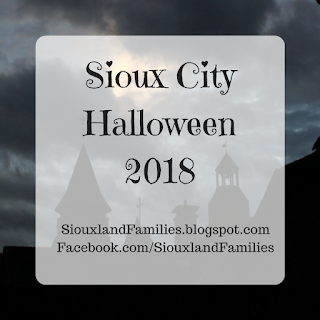 Entries should be created on an 8.5" by 11" piece of paper and turned in with the submission form to the Lewis & Clark Interpretive Center or e-mailed to SOlson@SiouxCityLCIC.com by April 2nd, 2019. 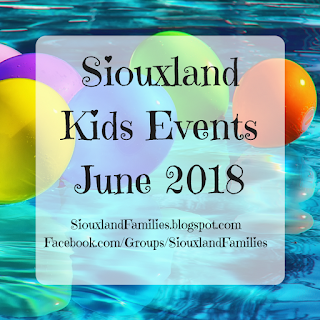 Winning artwork will also be displayed at the Lewis & Clark Interpretive Center during summer 2019. 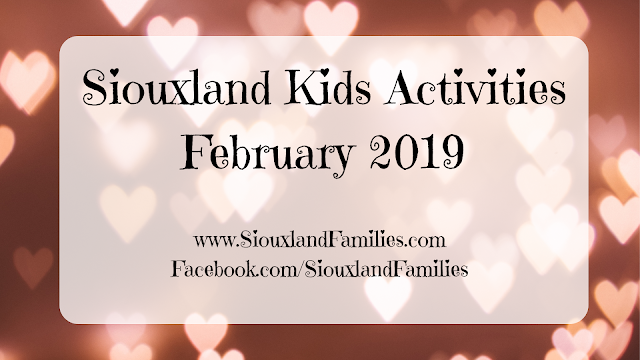 Kids who would like to may come to the Lewis & Clark Interpretive Center on Saturday, March 23rd from 1-3pm to work on their posters, whether just beginning, putting on finishing touches, or somewhere in the middle. Free treats and art supplies will be provided! 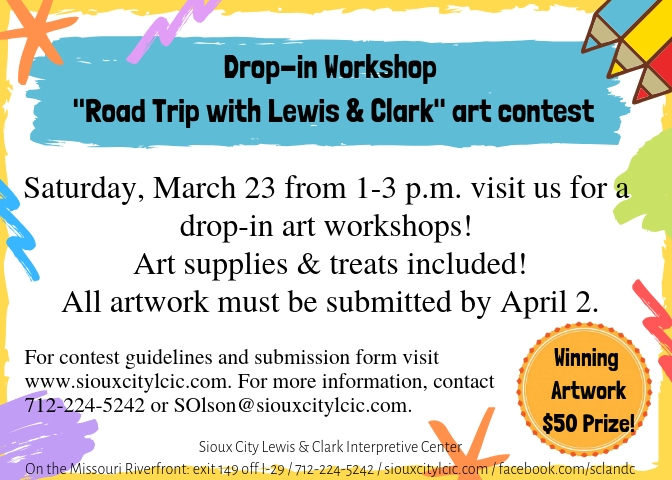 To find out more about the Road Trip with Lewis & Clark art contest or the drop-in workshop you can check out the contest page on the Lewis & Clark Interpretive Center website, e-mail SOlson@SiouxCityLCIC.com, call (712)224-5242, or ask in person at the Lewis & Clark Interpretive Center at 900 Larsen Park Road in Sioux City, along the Missouri riverfront.